KINGBAY 780 LUXURY MOTORYACHT - LOA: 23.99 m (78ft 7ins) LOD: 23.77 m (78ft) Beam: 6.00 m (19ft 7ins)Speeds are dependent on engine choice, ranging from 27 knots to 34 knotsThis Motor Yacht is designed and built to the rules of the Directive 94/25/EC of the European Community, as amended in 2003, for Recreational Craft under 24 m. The Motor Yacht will be fitted with two fixed pitch propellers driven by twin engines made MAN, MTU or CATERPILLAR through a V-drive reverse/reduction gear. The Motor Yacht will have two rudders. The hull shall be subdivided by watertight bulkheads in order to meet the regulations. The vessel shall be arranged to accommodate the forepeak/chain lockers, guest accommodation, engine room and crew accommodation spaces generally as shown on the GA. 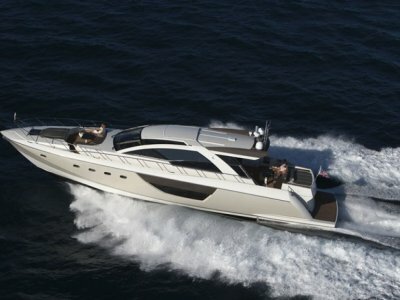 The forepeak/chain locker, the aft cockpit and the flybridge will be self draining. 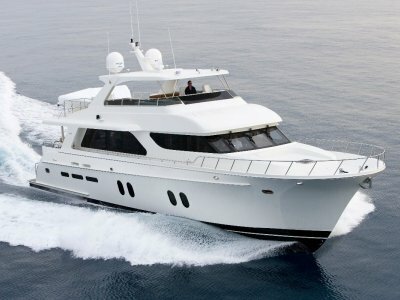 The Motor Yacht shall be designed and laid out for following complement:Owner's Cabin3 Guest CabinsCaptain & Crew: 3 people in 2 cabinsThe vessel will be divided in three decks: Lower deck, Main deck and Flybridge deck. 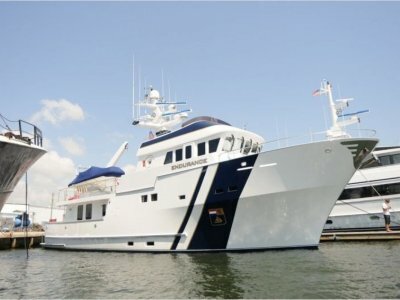 The vessel is intended for extended voyages, excluding ice zones, as a recreational craft for up to 12 (twelve) passengers. Full Specifications available on request. The hull shall be subdivided by watertight bulkheads in order to meet the regulations. 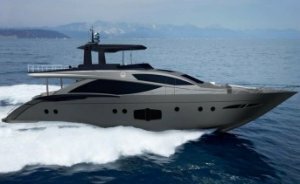 Speeds are dependent on engine choice, ranging from 27 knots to 34 knots The Motor Yacht will be fitted with two fixed pitch propellers driven by twin engines made MAN, MTU or CATERPILLAR through a V-drive reverse/reduction gear. The Motor Yacht will have two rudders. The vessel shall be arranged to accommodate the forepeak/chain lockers, guest accommodation, engine room and crew accommodation spaces generally as shown on the GA. 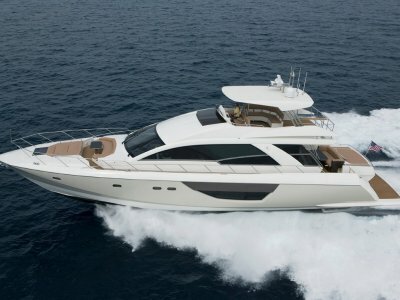 The forepeak/chain locker, the aft cockpit and the flybridge will be self draining.